BUFFALO, N.Y. -- Attorney General Barbara D. Underwood today announced the guilty pleas of 716 Transportation, Inc. of Tonawanda, NY; its President, Wossen Ambaye; and one of the company's drivers, Haimid Thompson, for stealing over $1.2 million in a Medicaid fraud scheme. 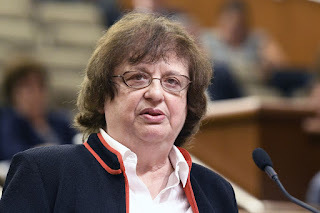 "False reporting of medical transport costs New York taxpayers millions every year," said Attorney General Underwood. "My office will continue to prosecute those who try to scam the system — critical to preserving Medicaid resources for the vulnerable New Yorkers who rely on them." Additionally, Haimid Thompson, a.k.a. "Mookie," 48, of Jamestown, New York, pleaded guilty to Grand Larceny in the Fourth Degree (a class E felony) before State Supreme Court Judge Paul Wojtoszek on July 11, 2018. In pleading guilty, Thompson admitted that in February 2017, he paid an individual who was working with investigators – identified in court documents as Medicaid Recipient A – $100 for signing up to receive services from 716 Transportation and $300 for each week that they remained with the company. Thompson further acknowledged that over a three-week period from February to March 2017, he submitted Daily Driver's Logs to 716 to indicate that Medicaid Recipient A received daily round trip transports between Jamestown and Buffalo that, in fact, did not occur. Thompson also admitted that 716 then submitted claims to Medicaid and received over $7,500 of payment based upon his false Daily Driver's Logs.